You can meet Suhaila and her parents in this post. It was a warm spring day. Outside the birds were singing. A gentle breeze wove its way through the trees in the garden. It was her first Mother’s Day. As she lay in bed cuddling her small daughter, thoughts of another mother entered her mind. 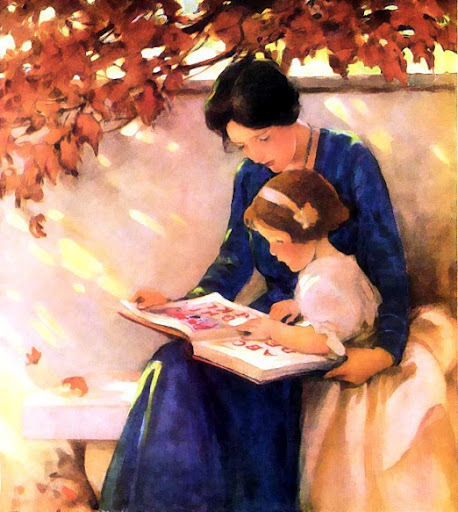 The first memory is of sitting on her mother’s lap, reading story after story. She can still see the bedroom they sat in; it had been her room. Though small, it was beautifully decorated. The child-size bed in the corner wore a quilt of down, made in white with tiny pink flowers on it. The dresser had been painted pink, a rough job done by someone who didn’t quite know how to paint; drips were still visible along the edges. On top of the dresser was an antique lamp that had been rescued from yard sale leftovers that were being thrown out. The tiny window was trimmed with handmade curtains, obviously stitched by hand. In one corner was a cozy chair artistically draped with an old handmade quilt in order to hide the torn and faded upholstery. That was the chair they sat in every evening. She remembers the smell of her mother’s hair, how its waves fell around her face, how beautiful her smile always was. The memory faded and another took its place. She was older, about 5. She remembers the handmade doll her mother had given her for her birthday. She had loved that doll so much! She would carry it around in her arms, feed it, and pat it to sleep. Tears began to flow from Suhaila’s eyes. She tried hard to push the memories away. For years she had been able to block them out, but now that she was a mother herself, the memories had resurfaced and she couldn’t stop them. She cried quietly so as not to wake the baby lying next to her and allowed the next memory to come. She couldn’t remember exactly how old she had been in this one – maybe 7 or 8. The incident that caused her to be upset was long forgotten but she was sure it had something to do with kids teasing her at school. All she remembers is going home in tears and her mother holding her, listening to her story, comforting her with soft words and her favorite cookies. The baby began to stir and Suhaila lightly rubbed her back until she settled down again. Why were the memories of her childhood affecting her so much? Why had they come back so strongly, beginning during her pregnancy and now continuing more than ever since the birth of Leslie Rose? Why couldn’t she ignore them as she had before? Getting up from the bed, Suhaila left the bedroom and went outside onto the small porch at the back of the house. She sat in a refurbished antique rocking chair and allowed herself to relive yet another memory. This one, though, wasn’t so nice. Her mother was in it too – the only bad memory she had of her. She was 17 and had fallen in with some friends who were leading her down a dangerous path – one of lying and stealing. Her mother had found out about her shoplifting an expensive necklace and had made her return it and apologize to the owner of the shop. The embarrassment she had felt at being made to do so upset her so much that she and her mother had the biggest fight they had ever had, ending with her mother saying she wished Suhaila wasn’t her daughter. They were words spoken in anger, words that had burned inside her and cemented her decision – she would run away and make sure she was never found. That evening Suhaila had packed a bag and left before her parents even went to bed. By now Suhaila was weeping bitterly. She knew in her heart that her mother had spoken the words out of frustration and disappointment, but she hadn’t meant them. She knew her mother had been waiting for her to calm down, and then she would have apologized as she always did. She had wanted to make her mother suffer, but now she was the one suffering. “Mom, I’m so sorry for the pain I now know you must still be enduring. I wish I could take it all back!” At that moment Suhaila made another life-altering decision – she would do whatever it took to track down her parents. She just had to see her mother again! ﻿ The elderly couple stood silently on the beach, his arms wrapped around his wife as they both faced the rolling waves, allowing the breeze to refresh them after a hot day. 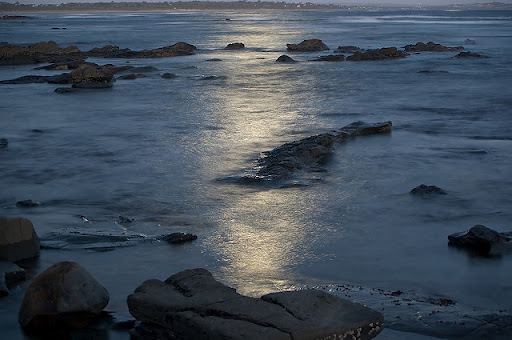 Above them the setting sun gave way to a glorious moonrise, casting a soft glow on the landscape as the full moon reached its zenith. Each was lost in their own thoughts – memories of times long past that held special meaning to them. “What do you think of Suhaila?” Ellen gently stroked her newborn’s hair, never taking her eyes off the baby. She smiled the smile of a mother who was already in love with her firstborn. She cuddled her daughter close and inhaled deeply – ahh, the scent of a newborn. The bond between mother and child was growing stronger by the second. “Oh, ok … I guess I kind of like it.” Jim shook his head from side to side, as if trying to make a decision – did he really like the name? “What made you think of that name?” Jim asked. “That evening is one of my favorite memories. Ok, I like the name much better now. Suhaila you are, my love,” said Jim as he took the baby from his wife’s arms and cuddled her close. Jim chased the volleyball as it went out of bounds. Jogging to the spot where it sat, he almost tripped over the ball as he locked eyes with the most beautiful woman he had ever seen. His buddies were shouting for him to “just bring the ball already”, but as he picked it up and returned to the game, he couldn’t help but glance back. She was still there, making it plainly obvious that she was interested in him. Back in the game, Jim tried to play, but she had walked over to the court, never taking her eyes off him, and stood right in his line of sight. The ball came his way but instead of hitting it, it smacked him in the head, causing groans and curses from his teammates. He couldn’t ignore her any longer. Jim left the game and walked to where she stood. “Hi, I’m, uh, Jim,” he said, mentaly kicking himself for not being bolder. “I, um … yeah, I guess so,” he stammered. “See you there then,” she winked. He knew in that moment he had found the woman he wanted to spend the rest of his life with. Hopefully he wouldn’t be nervous and not know what to say to her. Jim hugged his wife tighter and sighed. “What are you thinking about?” Ellen inquired. “Oh, I was remembering the day we met – the best day of my life!” he replied as he kissed her cheek. Ellen smiled. How could she forget the day she met the blundering fool who became her life partner and best friend? That very evening he had worked up the courage to ask her to marry him and she had said yes, though they only actually went through with it three years later. “What about you?” asked Jim. Silence ensued. The crashing waves only increased the sadness both felt rising, as tears welled in Ellen’s eyes. Fiction or Non-Fiction, show us what is waiting for the full moon. Extra points for mixing mystery with romance. Four year old Mandy stood quietly, watching the automatic doors slide open and closed. Open and close, open and close – so rhythmic, so magical. “I wonder how they do that?” she thought. She watched as a lady with an empty cart walked through them. “Where did she go?” Mandy wondered after the doors closed. Suddenly they didn’t seem so magical; they were downright scary! Her mother walked up with the cart. “Come, Mandy.” She gripped her mother’s hand tightly as they strolled towards the doors. As they got closer, she pulled back and stopped. Mandy loved princesses so it wasn’t hard to convince her to play the game. She held her mother’s hand tightly and closed her eyes while they walked through the doors. Once inside, Mandy looked around. This wasn’t the grocery store – where was she? The walls were stone, as were the floors. The ceiling was so high she could hardly see it. On one side of the dark room, some lights twinkled. Mandy walked closer and watched as the lights grew until, to her delight, a beautiful girl appeared in front of her. “Who are you?” Mandy inquired. Sparkle held Mandy’s hand and together they ran to the doors, which opened on their own. Outside was a huge garden with the greenest grass and the prettiest flowers Mandy had ever seen. They passed the time picking flowers, rolling in the grass, chasing butterflies and dancing. Mandy also discovered that anything she touched would sparkle and light up. After a while, Sparkle said it was time for Mandy to go home. “Of course you will,” smiled Sparkle. “Every time you visit the grocery store.” They walked towards the huge doors, then Sparkle waved and disappeared. Mandy closed her eyes as she walked through the doors that opened on their own. When she opened them, she was outside the shop again, walking with her mommy. “Did you have fun?” asked Mother. Mother smiled to herself and took a deep breath. This had been the easiest shopping trip ever, thanks to Sparkle. This fiction piece was written in response to the prompt below from Story Dam. Write fiction or non-fiction, tell us what lies on the other side of the door. Will you take door number two or door number one? What magical wonders are just waiting for you to step through? P.S. While writing this I was thinking of recently when my 4 year old son freaked out when I tried to get him on an elevator. He was terrified and sadly, nothing could convince him that is was safe to go on, so we had to walk down four flights of stairs at the mall. Did I mention that I had my two girls with me? Not fun. P.P.S. The doors I had in mind were not elevator doors but those large automatic doors most grocery stores have.